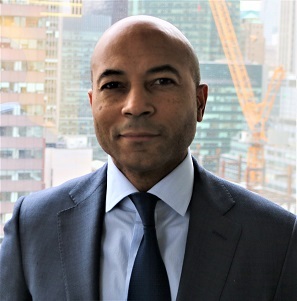 Corey M. Baylor is a veteran Wall Street professional with a distinguished 25-year career in providing strategic advice, financing corporations and principal investing. At Star Mountain Capital, Mr. Baylor’s expertise will be focused towards working closely with direct and indirect portfolio companies to develop and structure add-on acquisition opportunities and strategic investments as well as helping to maximize value at exit. In addition, Mr. Baylor will work closely with privately owned companies and other institutional investors to develop proprietary investment opportunities that benefit from Star Mountain’s unique business model and network of relationships. Mr. Baylor has an extensive career developing and executing transactions for private equity firms and corporations based on relationships and deal experience. Prior to joining Star Mountain, Mr. Baylor operated as an independent sponsor and advisor focusing on small and medium-sized businesses. From 2009 through 2014, Mr. Baylor was a Managing Director in the Financial Sponsors Group of BMO Capital Markets leading mergers and acquisitions, debt and equity transactions for global and middle market private equity firms. Prior to BMO Capital Markets, Mr. Baylor was a Managing Director in the Investment Banking Division of Merrill Lynch & Co. where he worked for 13 years in the Mergers & Acquisitions Group and the Financial Sponsors Group. Mr. Baylor was a member of the firm’s Mergers and Acquisitions Fairness Opinion Committee and a rotating member of the Equity Commitment Committee. Mr. Baylor began his career in the Investment Banking Department of Kidder, Peabody & Co. Throughout his career, Mr. Baylor has served as a dedicated mentor to junior professionals and led many graduate and undergraduate recruiting programs. In addition, he served on several promotion committees and led numerous human resource initiatives to develop and mentor talent. Mr. Baylor holds a Master in Business Administration from Harvard Business School and a Bachelor of Business Administration degree in Accounting from Howard University with a focus on merger accounting and taxation. Mr. Baylor serves on the Board of Trustees for the Brooklyn Children’s Museum and is a founding member of the Acquisitions Committee of the Studio Museum in Harlem.